When someone hears the term gang, what would come to their mind? Horrible? Dangerous? There are many ways to define gangs, but by popular knowledge, it is mainly defined as a group of criminals or juveniles active in illegal activities. Now this may be true, but are gangs really as bad as the media makes them to be? Can there be any positive outcomes from gangs under all of the prejudice surrounding their motives? Through research and interviews, it became clear that gangs are more than meets the eye in the media and that gangs can have a positive place in society because of the provided protection. As many know, gangs are noted by society as harmful to one’s life by being involved in the stereotypical criminal activities. Such activities that would be reported in the media include robbery, drug dealing, break-ins, shoot outs, etc. In the article, “Gang Wars: Oakland’ Leaves Locals Perplexed, Upset” by Kate McLean discussed how Oakland residents were baffled over the misconception of gang violence in Oakland after it was broadcasted nationally. 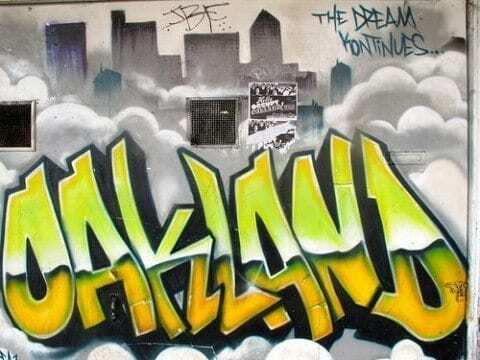 The author commented, “Back in Andrew Park’s living room, no one debated the seriousness of gang violence in Oakland, but the tone of the programs- particularly narration that called Oakland a “war zone” and compared the city to Iraq -stuck many as sensational. Some felt the program made it look like violence was everywhere and could strike any part of the city at any time. Others questioned the assertion that the city had ‘10,000 gang members,’ a number the Oakland police department estimates at closer to a few thousand. The Discovery Channel has since changed its figures, re-broadcasting the program with an updated number of 2,000” (McLean). The keywords are war zone, Iraq, sensational, and violence was everywhere. These keywords demonstrate how Oakland residents were surprised by how the broadcasting of the program hyperbolized the activity and situation in the city. If someone who lived outside of Oakland saw the documentary, they might believe the assumption that the city is truly like Iraq. They might also believe the assumption that Oakland is infested with gangs similarly to how a building would be infested with rats, when in reality it isn’t like that. This can be seen when the broadcasting service had to edit the documentary to show a more realistic interpretation of how the city really is. Before I move on, I too used to believe what the media had perceived gangs to be. It wasn’t until I had done a few interviews when I noticed there is another side to gangs that isn’t entirely horrible. On January 8th, 2017, Alex Zuno, an educator at a charter school in the Fruitvale area, opened up on the topic of whether the media captures gangs positively or negatively. He commented, “Negatively, all of the time. When in reality, they are actually like a family themselves- to a certain point at least” (Zuno). The keywords that stand out the most are negatively, reality, and family because they show a story of how some people view gangs and how others interpret them. Alex Zuno most likely identified gangs as a type of family because in a way, they are a support group that help youth with troubled lives. It’s unfortunate to know kids have to go to strangers for support, and the media doesn’t capture that enough- or at all. The media mainly focuses on the criminal activity and wild behavior youth demonstrate. This affects the way both Oakland and youth in Oakland are viewed by people outside of the city. Without a doubt, there is a stigma in society against gangs and what they do, but this stigma can be debunked when gangs are examined further to look at the role they play in protecting individuals. The possibility of joining a gang can have major impacts on the lives of whom decide to embody the “gang life.” In the article, “Element of Racism Among Rival Latino Gangs in Oakland” by Scott Johnson, Karina Najeva, a woman who escaped violence in El Salvador to be in the United States, had joined a gang for protection against the brutality between two different communities of color. She had commented, “There was so much violence between black and brown people, there were huge fights,’ she said. ‘That was shocking. Joining a gang was how I protected myself. I knew this was a group of people that would protect me. It was the only option I had”(Johnson). The keywords presented include violence, gangs, and protection because they express Karina Najeva’s reason to joining a stigmatized group. Many associate gangs as a way of earning “easy money” or a rush of adrenaline, but in many cases, such as in Karina Naveja’s, many seek protection from life threatening situations when there is no other solution at hand. Scott Johnson must have included this statement in the article in order to have insight on what the motives to joining a gang can be other than wanting to make money or participate in illegal activities. The keywords unload information on what a positive outcome can be expected for those who decide to join a gang and how it can benefit those willing to take part of the new identity as a gang member. To move along, the point of this is not to persuade or motivate an individual to join a gang, but to educate those who believe there is no possible reason for someone to seek out gangs in the need of help. As stated before, most reasons to why people- mainly youth -join gangs include for the sake of protection they can receive from the leaders. Although it is best to note that a gang’s background can be partially positive, there are dangers and health risks when joining a gang. In the article, “Negative Effects of Joining a Gang Last Long After Gang Membership Ends” written by Doree Armstrong, there are multiple long-lasting effects of gang affiliation on youth. The author explained, “Former gang members also were nearly three times more likely to have drug-abuse issues, were almost twice as likely to say they were in poor health, and twice as likely to be receiving public assistance. They were also half as likely to graduate from high school” (Armstrong). The keywords are drug-abuse issues, poor health, public assistance, and least likely to graduate. When youth decide to leave a gang, the possibilities of having a drug-related health problem is very likely. Along with high-risk drug addiction, other long term effects of gang affiliation include poor health, needing to live off of public assistance- if they are able to apply for help -and having a less chance of getting their high school degree. If youth who end up dropping out or incapable of earning a degree in high school, they are going to struggle finding a job because of their “illegal” background. Gangs and Their Impact on Oakland by Ingrys is licensed under a Creative Commons Attribution-ShareAlike 4.0 International License. I thought your post about gangs was very interesting and intriguing because you grabbed outside resources to explain your thoughts and reasons about being in a gang. I also liked how you included both sides of the story, the positive and negative. Something that stood out to me from your article was the interview with Alex Zuno, I thought the interview was interesting and added something different to your post. It added other people’s perspectives, besides your own. What I liked most is that your interview connected with the whole explanations of being in a gang and what happens to gang members. The positive outcomes of being in a gang is probably something that stood out to me the most because it made me change my perspective on how I view gangs now. The fact that these people feel protected and secure due to being in a gang is sad, yet a good thing. Everyone has the right to have a group of friends where they can be themselves without judgement. Great job, this is a very controversial topic. Can’t wait to read more of your posts. I am glad you found my post, “Impact of Gangs in Oakland,” intriguing because, like you stated, this is a very controversial topic and not many people would think there is a positive side of gangs. Something that stood out to me from your comment was when you stated, “The positive outcomes of being in a gang is probably something that stood out to me the most because it made me change my perspective on how I view gangs now.” The fact I was able to change your perspective in a topic widely disregarded by the public makes me feel better about the impact of my post and my thoughts. A question I have for you touches on your perspective of gangs. Were your past perspective on gangs influenced by the media or another source? I find your article to be very interesting, on both negative and positive sides. I have never read an article that stated the positive sides of joining a gang, just like you stated in your last paragraph, “not to persuade or motivate an individual to join a gang, but to educate those who believe there is no possible reason for someone to seek out gangs in the need of help.” Do you deeply believe that in order to seek help you have to join a gang? Don’t you think there are other resources for example, law enforcement, a counselor at school or a teacher? For example, there are a lot of youths who are being bullied at school, do you think that joining a gang will help them stop bullies from being so mean? Furthermore, just like you stated there are plenty of negative effects of joining a gang, such as drugs, a criminal record, and not obtaining their high school diploma, I completely agree with you on this. Joining a gang leaves an adolescent with negative consequences that could affect them for the rest of their lives. Don’t you think that maybe seeking the right help will eventually take them to better places in life and make better life decisions? You made very interesting points and made your argument very clear, it made me wanting to keep reading the rest of it to see your whole point of view. I agree with your post, “Gangs and Their Impact on Oakland” because it educates everyone that doesn’t know much about gangs and the effect they have on their communities. One sentence you wrote that stands out to me is:”As many know, gangs are noted by society as harmful to one’s life by being involved in the stereotypical criminal activities.” I think this is well worded because it acknowledges the stereo types of how gangs are dangerous instead of also providing information on how they can become a good thing or useful. Another sentence that I noticed was:”To move along, the point of this is not to persuade or motivate an individual to join a gang, but to educate those who believe there is no possible reason for someone to seek out gangs in the need of help.” This stood out for me because it elaborates on how gangs are useful to some people. Thanks for your writing. I look forward to seeing what you write next because it makes you think about others’ perspective.